Bernini Camo 4 in. x 18 in. Porcelain Tile features a background of beige neutrals accented with faux fossilized veining in the most desirable warm gray hues. Offering the luxurious look of travertine in a uniquely sized matte tile, Bernini Camo is traditional and contemporary all at once. It's popular with homeowners, designers and builders because it harmonizes sublimely with diverse design aesthetics and it's suitable for many residential applications, including walls, floors, backsplashes and shower surrounds. 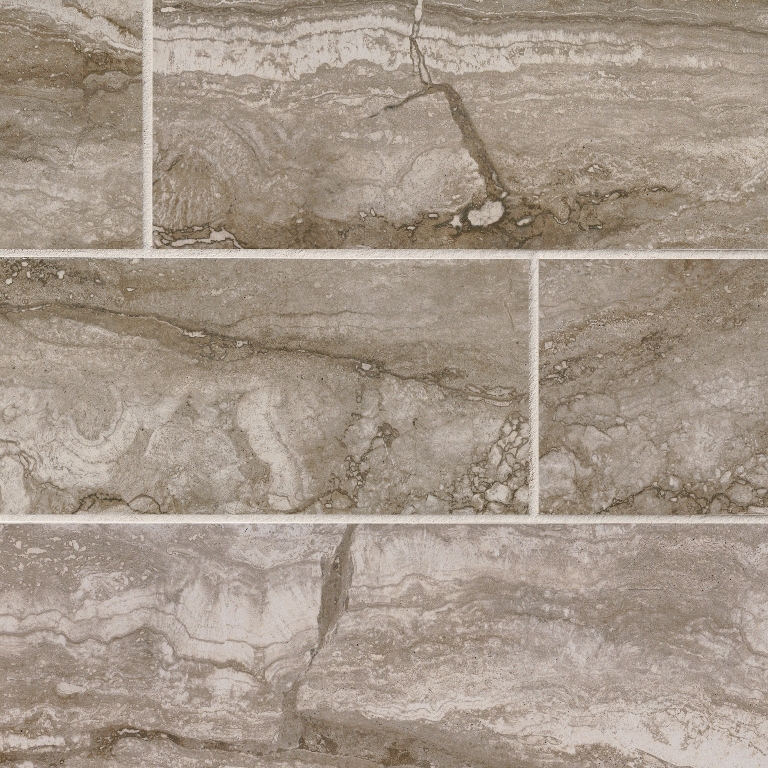 This travertine look tile can also be used in some light-duty commercial applications. This is a rectified tile, mechanically finished on all sides to achieve uniformity. Its precise sizing allows for a thinner grout joint, which results in a clean, professional install and reduces staining issues. Multiple tile sizes, along with coordinating decorative mosaics and bullnose give your project a finished look.